Next Friday (Nov. 16) at the Las Vegas Traders Expo, I’ll be teaching live at 1:15pm PT. I hope you can make it to my session if you’re located near Vegas or the west coast. Specifically, I’ll be discussing 8 Steps to Trade Your Way Better. I have a lot of good stuff planned, plus I’ll share the setups which have been working well for me recently as well as the best setups I see in the market right now. I’m excited about being there and giving you some insights for better trading. Make plans to be there by pre-registering or just show up (it’s free)! Subscribe to our Stock Pick Service to get our trades. In a previous post, I covered some of the steps necessary to recover from deep trading wounds and what it involves to start moving past the pain and toward progress again. Taking a big hit in your trading often sidelines you, either literally or (even worse) mentally. I know from experience! And while there are times to take a break in order to avoid doing further damage, at some point, you still have to get back on the horse and overcome those doubts. When your account and confidence have taken a sizeable reduction, there’s a ton of doubt to get past, so let’s look at 5 ways to do that. 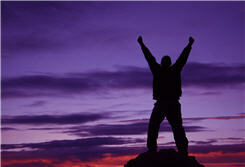 ** What are some other ways to get beyond fear and doubts on the road to a trading recovery? What has worked for you recently or in the past? The bulls haven’t found their footing yet as the market moves lower within its range. In some cases, we’re seeing some important recent levels get broken, namely S&P 1357. The DJIA has approached the lower portion of the 600-point range, and we’re getting a bit stretched in the near term. While it’s important to be careful pressing shorts at this stage of the pullback, it’s equally important to respect the fact that each bounce has been sold of late. Trying to get long before we see some stabilization could result in being ‘early’ (read: wrong), thus trapping you. It’s never good to need bailing out by the market. Best suggestion? Stay patient here. Lighten up on shorts if you’ve caught some good moves. Keep a shopping list handy if you’re eager to get long, but protect capital here and wait for better setups to arrive. Most bearish charts need some rest, and bullish charts are hard to come by at the moment. For those curious about our trading style in the member area, we’d love to show you what we’re all about. We’ve been short since the end of last month and it’s been a nice little ride lower. Check out the free trial to our stock pick service if you’re interested in adding our ideas to your own. Get our free newsletter to keep up! 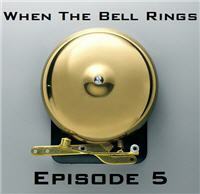 Today, I bring you Episode 5 of When The Bell Rings. In this episode, we’ll talk about some distinct differences among traders regarding their approaches to trading. It should either give you some added motivation, or a boost in confidence. I hope you get a lot out of this installment. Keep coming back for more in the days ahead, and of course if you find these helpful, then let me know! (Direct video link is here for those interested in embedding it elsewhere to share). What Do You Do When You Hit Your Loss Limit? Over the past 10 days, there have been two occasions where I hit my daily loss limit. Sounds like a tough stretch, but on a net basis it’s actually been positive thanks to some other good days. Mind you, I’m generally a disciplined trader, and in a dozen years of full-time trading I have broken my discipline countless times but have never truly gone on tilt where it’s account life or death. That said, I do not have a broker-set cutoff. That’s where you specify a dollar amount, which when hit will lock you out of making more trades. It’s still your account and you could call in and override that I suppose, but it’s at the very least a break in the action for you, and a very good thing for some people – namely, developing traders. Back to my point and the title of this post, what happens when you hit your daily loss limit? For me, it’s a general dollar amount where I start to understand that barring some really great trades, and with the amount of risk I am willing to take, I’m unlikely to recover. It’s a matter of recognizing that I’m likely to do more harm than good – either to my account or my confidence. At times, I’ll hit that level and I just need to admit defeat, shut it down, and come back another day. I might leave my platform open and monitor the market or open positions, but I know I don’t need to press any more buttons. Adhering to that has on many occasions prevented deeper wounds to my account. Knowing when to walk is found in two things: one internal, one external. Internally, you must understand yourself and your tendencies. 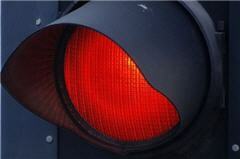 Externally, you must be able to recognize current conditions and determine if there’s good reason to continue or not. Over the past week, however, I had two different outcomes when I chose to trade beyond that mental cutoff. I didn’t go on tilt, but I lowered my standards in what was ultimately a mild version of revenge trading. That never pays off, and in this case it cost me a little more. As it should have. I hit my loss limit plus another 1/4, which isn’t a ton but it is too much. The mistake was that I continued to trade because of my P&L. Catch that? Because of it, not in spite of it. The second occasion was similar in that I reached my mental cutoff, but it was different because it was a day where my emotions were settled. I continued to trade not out of anger or frustration or ego to prove I was right, but because there were multiple stocks in play which warranted my participation. Conditions were very favorable for making good trades, so I continued. I was accepting risk beyond a normal cutoff amount, but it was with a level head and with some real potential to turn the day around. And I did. It was rewarding, not in the sense of “I told you so” but simply because I kept taking good trades when they surfaced, added it up in the end, and came out slightly ahead. It’s nice to dig out a bad day, even if it means you barely do better than break even. On some days, those are wins. Today, I bring you Episode 4 of When The Bell Rings. In this episode, we’re talking about something that’s paramount to your success as a trader. It’s a mindset, but it’s something that requires intentional planning and not a fly by the seat of your pants mentality. A weekend sporting event was too pressing to delay this message any further, so here it is. 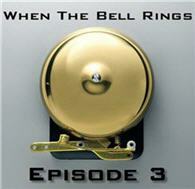 Today, I bring you Episode 3 of When The Bell Rings. In this episode, we’re talking about a common mistake among traders which seems so obvious – yet so few make it a point to avoid. By the way, here are links to Episode 1 and Episode 2 in case you missed them.